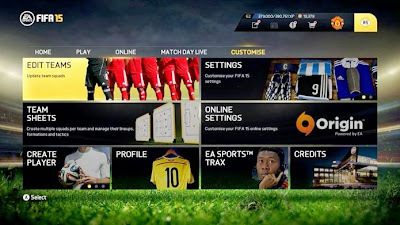 FIFA 15 features a huge variety of leagues, teams and licensed selections, which can be used in many ways to the popular football simulator game. In addition, players are also free to make transfers between teams, creating their own dream teams, or simply killing the longing that ace who played for your team. Check out the tutorial on how to transfer players manually. Step 1: From the main menu of the game, go to the tab "Customise" and choose "Edit Teams". Step 2: On this screen, click on "Club Transfers". Step 3: Now select the league, team and player you want to transfer. You can select all the game's players, including stars such as Cristiano Ronaldo, Messi and Ibrahimovic. Step 4: Time to choose the destination playmaker. Select the league and team and press A / X to move the player. Step 5: By default, the new athlete stands between the team substitutes. Access the list of configuration to place it among the members, or at least on the bench. Step 6: If you want to fill a team with other players. You can check out a wide range of "Free Agents", which are nothing more than athletes without team. Step 7: There you can find some good level of players, in various positions and nationalities. Step 8: Ready, now just go to the field and test their new players. Note that these changes are only valid for the offline modes of the game.